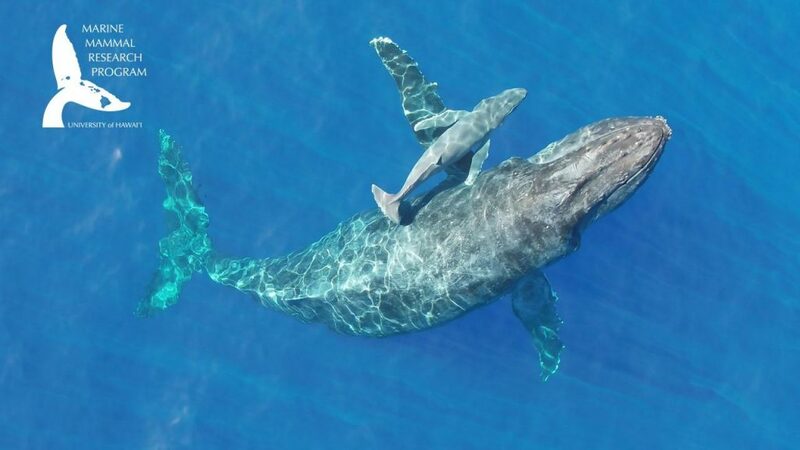 Rare high-quality drone video has been captured of a newborn humpback whale calf and mother. 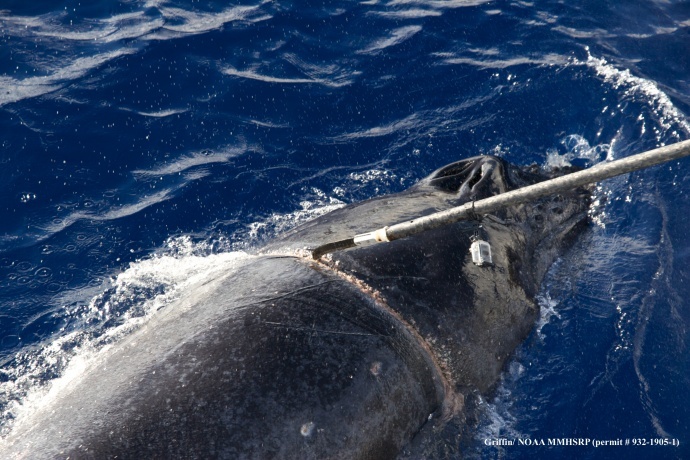 The footage was captured last week Sunday on Jan. 20, 2019 in waters between Maui and Lānaʻi by the University of Hawaiʻi Marine Mammal Research Program. 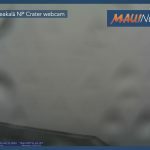 This is the closest (estimated within 20 minutes) that the researcher has been to a live birth in 25 years, according to Lars Bejder, director of the Marine Mammal Research Program, at the University of Hawai‘i at Mānoa’s Hawai‘i Institute of Marine Biology. 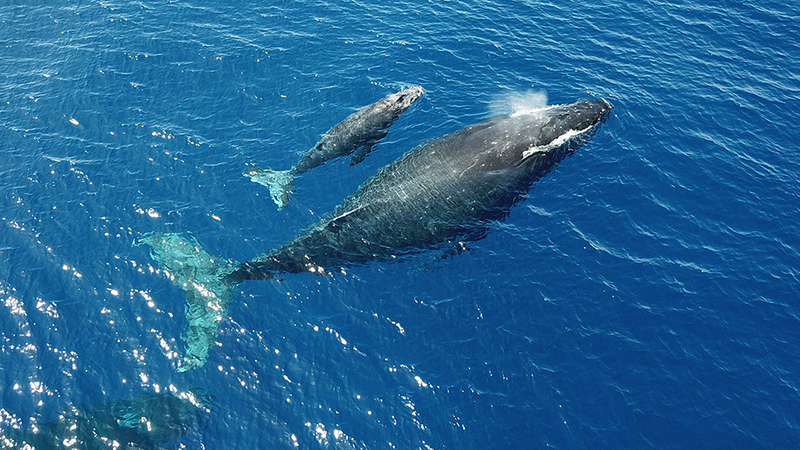 “This is quite extraordinary–within I would say 20 minutes of the humpback female giving birth to her calf. We arrive up to the animals and there is still blood in the water and the calf very uncoordinated, but pretty much as close as we could get to a live birth,” said Bejder. 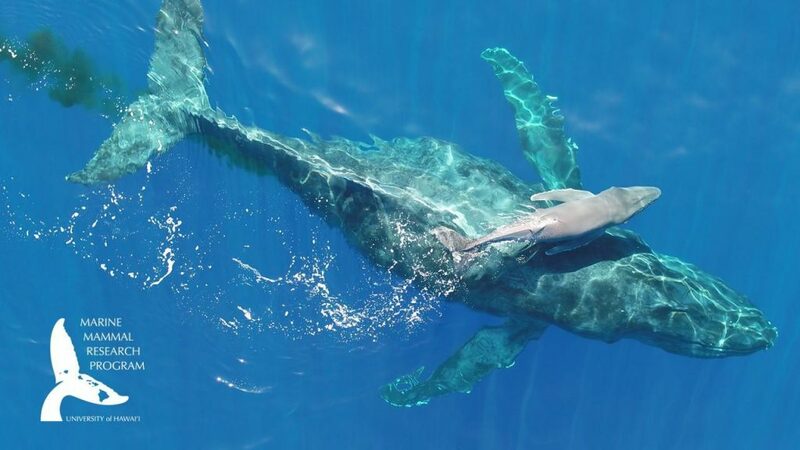 Bejder was operating the drone device as part of the programʻs study of the effects of climate change, human activities and prey availability on whales and dolphins. “I think everybody can appreciate these kinds of footages, and it brings us closer to these animals and gives us a really majestic view of these creatures, and yeah I think it’s pretty spectacular,” said Bejder. 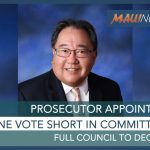 The program recently launched a new website and social media platforms (Twitter and Instagram: MMRP_UH, Facebook and Youtube) to build awareness.